We recently debated how the nature of global service delivery is going to change in this climate of leveling prices, increasing buyer expectations and post-recession lethargy. This is clearly a pivotal time for the industry. As the world recovers from recession, the major Indian BPO providers eagerly await a return to the BPO boom, which has paused in the past 18 months as companies have sought to cope with riding out the tough-times. As HfS Research recently revealed with a new study of enterprise BPO demand, many enterprises are seriously looking at outsourcing to solve many of their performance issues, however, it’s clear many are taking their time before jumping into large contracts. In fact, we’re actually seeing more piecemeal engagements from companies making more tentative moves into BPO. While the bounce-back has hardly been resurgent, BPO is clearly firmly on the corporate agenda and many of the leading Indian service providers are expanding staff, acquiring competitors, and making new marketing plans to widen market share and penetrate new sectors, such as the mid-market. Even amid the doom and gloom, the Dataquest Top 20 annual industry survey reported that the Top 20 Indian BPO firms increased their combined export revenues by 15 percent in fiscal 2009-2010, with revenues of $6.1 billion, slightly down from the growth of 17 percent achieved in fiscal 2008-2009. After a year of relatively sluggish growth, Indian service providers are now expecting business to grow. Financial and managerial pressures are easing up across major markets, with a collective agenda to optimize costs and efficiencies. Recent research has suggested that in the next two years, companies plan to offshore more, to countries such as Mexico, China, Philippines and of course, India. Accordingly, Q12010 (Apr-Jun) results have already shown volume growth beyond expectations for the major Indian BPO providers such as TCS at 8.1%, Infosys at 6.9%, and Wipro at 4.7%. Increasing organic capacity: Most service providers are extremely aggressive about scaling. TCS and Infosys have hiked their annual hiring targets, to 40,000 and 36,000, respectively. There is an outright ‘war for talent’ emerging, and service providers are doing everything they can to retain employees, amid the current rise in attrition. But there is only so much they can do, organically. Strategic acquisitions: To achieve their ambitious expansion targets, BPO service providers have been busy with several strategic acquisitions that play to their unique strengths. Although consolidation is inevitable as the industry matures, the pace of these acquisitions suggests that only the strongest (and biggest) will survive the melee. Here are the top five drivers for these service providers to execute strategic acquisitions. It is actually more than likely that a combination of these competitive advantages is motivating providers towards inorganic growth, as the examples below illustrate. Whether it’s the tier 1 providers like TCS, Infosys or Wipro, or relatively smaller contenders, global reach for outsourcing providers is becoming not only the norm but a long-term competitive necessity. Multinational companies such as IBM and EDS had an early lead. But as the rest of the industry caught up, the importance of tapping diverse locations became apparent. The preference has been delivery centers in low-cost offshore (e.g., India, China) and nearshore (e.g., Mexico, Poland) destinations, coupled with R&D, marketing and sales activities in onsite locations (e.g., US, UK). Therefore, some of the larger BPO players in India have been expanding in Eastern Europe and Latin America. The bolder ones have also moved to emerging outsourcing destinations such as Sri Lanka and Mauritius to setup their offshore centers. Increasing capacity this year will likely be higher in these emerging destinations. DiacriTech - LaurelTech Integrated Publishing Solutions (2009), giving the Chennai based firm great client market presence in the US. EXL Service – Schneider Logistics (2009), bringing EXL delivery capability in Eastern Europe (Czech Republic). Whether you’re a top notch BPO focused on insurance, or the largest outsourcer to healthcare providers, there are always more products and services that could enhance your portfolio. Specialized skills often stem from those small firms that are almost off the radar, save for their highly innovative offering(s). BPOs are always on the lookout to make their value proposition stronger by incorporating the best that the industry has to offer. Whether it’s a single feature on a platform BPO product, or a niche analytics skill-set, BPOs are making more acquisitions that align with and enhance their core business areas. Genpact – Symphony Marketing Solutions (2010), allowing Genpact to offer a broader range of services, ranging from core finance and accounting, procurement and supply chain to data management and advanced analytics solutions. Infosys BPO - McCamish Systems LLC. (2009), where Infosys BPO gained from McCamish’s domain expertise in platform BPO services. The recession underscored a central truth of business: you’re only as stable as your clients. For BPOs, this is all the more important because there are many so-called vertical specialists. For example, more than half of EXL Service’s business comes from the insurance sector. The annual reports of most of these vertically focused BPOs state very clearly that they face huge risks in catering to a niche clientele. It then makes business sense to enter additional verticals through acquisitions that deliver a strong client list to build on, thereby reducing risk. In Q1, there was broadbased growth, with media, retail and communications segments matching pace with financial services. All the large BPOs have expressed interest in entering new verticals, eyeing segments such as healthcare and utilities, so we can expect to see more activity in the coming year. Sutherland Global Services - Adventity Global Services (2010), to tap new verticals, including BFSI, airline and travel. BPOs are very often evaluated by their clients on their ability to scale, which is fair? One of the major reasons for outsourcing is labor arbitrage, especially if the labor in question is in significant numbers. Companies looking to expand in certain geographies find that acquiring another company in the region is the easiest way to build human capital. Acquisitions of this kind make most sense products and services have synergies. With strong pipelines and insufficient resources, Indian service providers are likely to build capacity addition through acquisitions this financial year, because organic growth isn’t going to be enough. Aon – Hewitt Associates (2010), resulting in ‘Aon Hewitt’ revenues $4.3 billion, with 29,000 associates globally, and over 3000 Hewitt clients. Like other firms BPOs are keen to extend business relationships with their clients. One of the biggest ongoing trends in the industry is the buying captive units or shared service centers (SSCs) from client organizations that aren’t able/willing to sustain them. This leaves BPOs with deliciously long contracts and an army of specialized employees to go after other clients in the same vertical. EXL Service – American Express Travel Services captive (2009), where EXL gained a $160 million outsourcing contract spread over eight years, along with 800 employees. Intelenet – FirstInfo SSC of FirstGroup UK (2010), where Intelenet will continue to handle customer management, correspondence, ticketing and other back office processes for FirstGroup’s rail customers, and FirstGroup gets to focus on its core transport business. Cognizant – UBS SSC (2009), allowing Cognizant to offer BPO, KPO, IT and remote infrastructure management services to UBS divisions globally. Patni Computer Systems - CHCS services Inc, fully owned subsidiary of Universal American (2010), where Patni will enter third party administration business as extension to its insurance services portfolio, significantly enhancing its existing BPO capabilities to deliver end-to-end platform based solutions. These mergers and acquisitions don’t necessarily indicate a singular trend, but rather a wave of consolidation. BPOs are racing to match pace with global demand, and inorganic growth seems to be one of the ways to ensure long-term growth. The plan may be to go global, enter niches, acquire skills for nonlinear growth, or extend business relationships. There was no single driver for inorganic growth in the last year. Instead, outsourcing companies used acquisitions to fortify themselves and build up momentum, while they played the waiting game. In 2010, we can expect these BPOs to reap some of the benefits from their bold expansion moves. As business picks up, and client organizations warm up to offshoring once again, BPOs are definitely better positioned to take on the immense challenges set before them. Improvements in scale, reach, and range have been largely addressed due to the many completed and scheduled strategic acquisitions (along with organic capacity addition). It then looks to be an eventful, and I daresay, extremely successful year ahead for BPO! 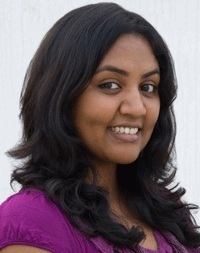 Reetika Joshi (pictured) is a research analyst at ValueNotes Sourcing Practice. She has undertaken several research assignments across the outsourcing spectrum, including BPO, medical transcription, research & analytics, and e-learning. She can be contacted at reetika at valuenotes dot com. The comment on TCS and Infosys hiking their annual hiring targets to 40,000 and 36,000 needs a closer look. One should understand that these are gross hiring numbers and not net hiring numbers. In the last four quarters, Cognizant and TCS added a net of approximately 25,000 and 22,000 respectively while Infosys added approximately 11,000 people. In fact, in the recently concluded quarter, Infosys saw a gross addition of 8,000 people and a net addition of only 1,000 people. The hole in the leaking bucket is getting bigger in some companies. The organic addition is largely to backfill higher attrition as people are (i)racing out of companies! To understand the real attrition, one should look at Infosys and HCL Technology numbers. Infosys' attrition in the recently concluded quarter was a whopping 27.4 percent (for the quarterly anuualized including BPO). And hold your breadth HCL Technologies' attrition according to a recent report in MInt (India's WSJ) was over 33 or 35 percent! Looks like at HCL Technologies, Employees leave first. Customers leave second! @vishnu:Your point about taking a closer look at the hiring targets is well made. The gross numbers are indeed deceptive. But even the net additions put together are quite substantial, don't you think? But by the same token, even the "real attrition", while real enough for the individual companies, is somewhat illusory. It is actually circular attrition, inasmuch as people are racing out of one company, but straight into a competitor company. They are not leaving the business. The real impact of this circular attrition is not a reduction in capacity, but just an inflation of salaries, and consequently of course a further reduction in cost arbitrage. There is one more side to outsourcing, Indian labor is getting expensive as well as the real estate cost, this adds up to the companies bottom lines. India is facing stiff competition from other outsourcing destinations, yes agreed Indian have strong experience compared to new outsourcing destination, but US and European companies are willing to explore the new destinations as they are cheaper than Indian prices, somewhere 20 - 30% this makes big difference in terms of cost and are willing to try pilot trial projects.